SUNNYVALE, Calif., May 01, 2017 — Full Spectrum Inc., a leading supplier of private broadband cellular data network technology announced today its plans to establish a nationwide network service designed for mission critical data communications. The Company will begin with private service in the New York City Metropolitan Area, covering up to 20,000 square miles and 20 million people in portions of New York, Connecticut, New Jersey and Pennsylvania. 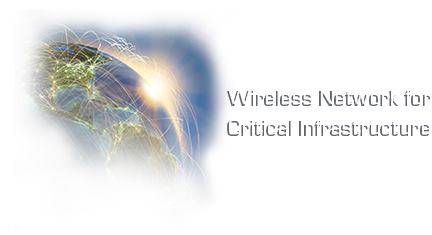 The network will be available for a multitude of mission critical applications where security, reliability and network availability are of paramount importance including electric, gas and nuclear utilities; transportation, including rail and automated vehicles; environmental monitoring including water and air quality; coastal and homeland security; and seismic monitoring. The service will allow for complete digital and physical separation from the public internet over the entire service area and will integrate and function as backhaul for state of the art industrial gateways such as LoRaWAN™ Low Power Wide Area Networks (LPWAN) among others. “We are very excited to take the next step in our Company’s evolution as a service provider for mission critical applications within one of the nation’s largest economic hubs,” said Stewart Kantor, CEO of Full Spectrum. “Our technology has been embraced by the electric utility industry over the past 6 years and has become the basis for a new worldwide wireless standard for mission critical networks known as 802.16s or ‘Gridman.’ To date our technology has been used exclusively by utilities for their own communication needs spanning hundreds of thousands of square miles. Due to increasing demand for networks that can support mission critical applications, we believe it is time to make the technology available for industries that need similar secure network services but aren’t capable of running their own private networks.” The Company will also be offering service level agreements to its customers, the lack of which is a persistent weakness within existing cellular network services. Service in the New York Metropolitan area is expected to be fully operational by the end of Q3 2017 with additional markets launching later in the year. The Company is also soliciting direct customer input on desired coverage areas including underserved extreme rural areas. Companies interested in obtaining information on service availability or requesting service availability, please inquire at http://www.fullspectrumnet.com/network-services.